As many of you know, I am a big book fan. 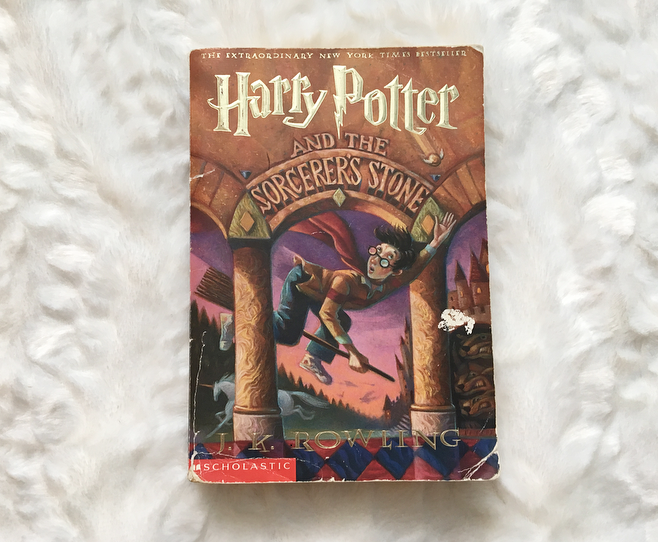 I almost always include a book or two in my monthly favorites posts, and I've done a few stand-alone book posts on this blog even though it's primarily about makeup. I recently saw the A to Z book tag on A Sprinkle of Emily's blog and I thought it looked like so much fun, so I decided to answer the same questions here! You can read Emily's post before checking out my answers. I've linked each book or series I mention to Goodreads so you can read up on the reviews and description of the book if you want to learn more about it! A: Author you've read the most from? Definitely Sara Shephard! Between her two most popular series, Pretty Little Liars and the Lying Game, I've read more than 20 books from Shephard. I recommend both series if you're a fan of YA mysteries, but I also recommend that you stop reading Pretty Little Liars after the eighth book. Crooked Kingdom by Leigh Bardugo, the sequel to Six of Crows! 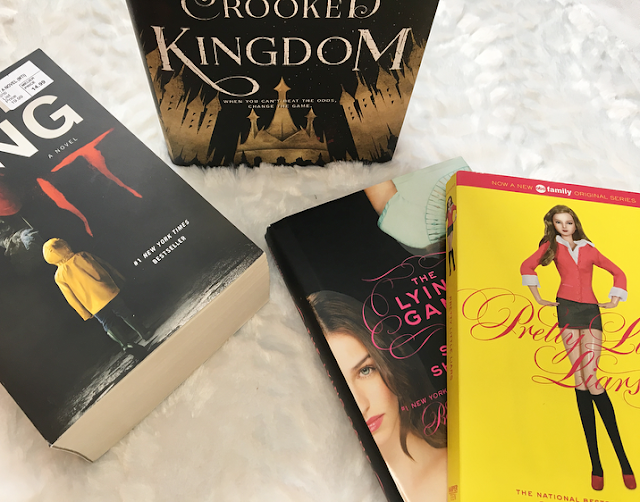 It's a duology and Crooked Kingdom is a great finish to the story. It by Stephen King. It's sooooo long but I'm finally getting to the more interesting parts of the story. D: Drink of choice when reading? Hot chocolate. I like to put a bit of cinnamon in it sometimes. Even though Halloween is over, I'm still obsessed with this Hocus Pocus mug! I definitely prefer a physical book, I like to count the pages, but I'm increasingly reading more books online if they're cheaper or easier to get. Plus I'm running out of room on my book shelves! F: Favorite book series of all time? The Raven Cycle series by Maggie Stiefvater! The writing is so beautiful and the plot is really unique but magical. The characters are the best aspect of the series to me. It's even getting turned into a tv show on SciFi! Very exciting. G: Glad you gave a book a chance? 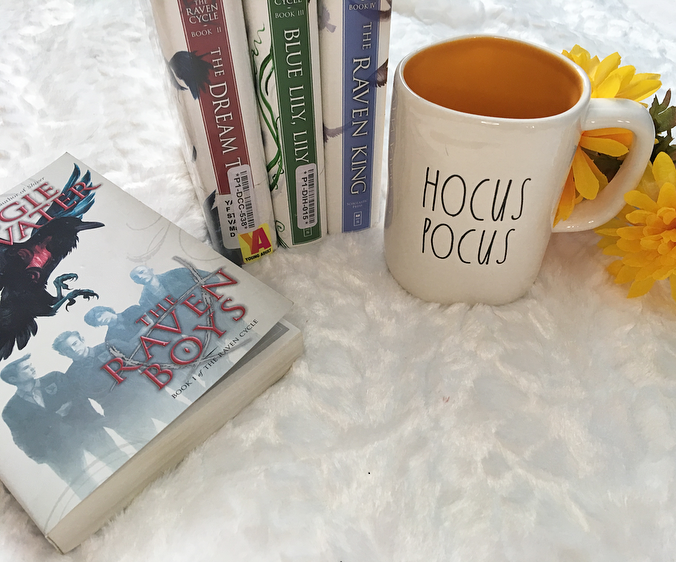 The Raven Cycle again! I'd heard a few people recommend it, but every description I read of it sounded like a very typical, boy-meets-girl kind of story, but it's really not like that at all. It's hard to describe without giving away the story. The Foxhole court series by Nora Sakavic. Not many people know about the series because it's only available online, but it's a really unique plotline. I: Important moment in your reading life? In fourth grade when I started reading the Harry Potter series. I don't remember reading much before then! As you can see, my copy of the first book is much loved. The Devil Wears Prada by Lauren Weisberger. So good, it's really funny! K: Kind of books you won't read? Straight-up romances. They're so predictable, I honestly can't stand them. I don't mind a bit of romance in an action, supernatural, drama, or other genre, though. L: Longest book you've ever read? I have a collection of all the Sherlock Holmes stories that is over 1,200 pages...I still can't believe I finished it! After I finished the Raven Cycle I literally could not read anything else for a month. N: Number of book cases you own? Four. I have one really big one, two smaller ones, and one shaped like a K. They aren't full at the moment but I'm trying to reorganize them, which is why there are all the empty spaces. O: One book you've read multiple times? I read most books multiple times, but especially the Harry Potter series. 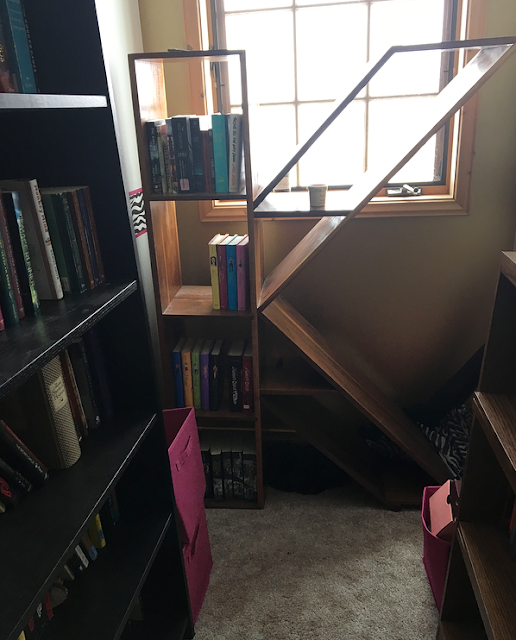 P: Preferred place to read? My room or on a long car ride. Q: Quote that inspires you? None, to be honest. If I don't like a book after the first few chapters I usually stop reading it. I do regret spending so much money on books when I was younger, though, especially now that I've stopped reading them. S: Series you started and need to finish? A Series of Unfortunate Events! I started reading the books after I watched the Netflix series and I'm only on the fourth. The books are really quick to finish but there are so many other things I want to read. T: Three favorite books of all time? 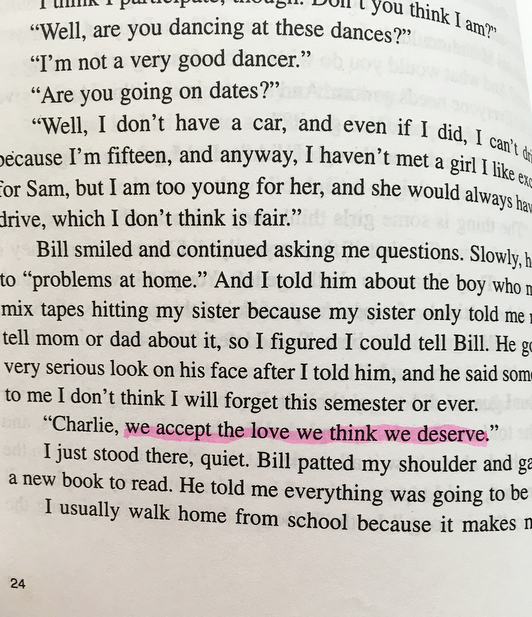 Most of my favorite books are series, but my favorite stand-alone books are All the Bright Places, The Perks of Being a Wallflower, and Sharp Objects. U: Unapologetic fan girl for? The Raven cycle, if you couldn't already tell! Seriously, everyone read it right now. V: Very excited for this release? Maggie Stiefvater is writing a sort-of sequel series to the Raven Cycle centered around one of the characters named Ronan, so I'm excited for the first book in that series to be released. I also can't wait for Gillian Flynn to release more books! Buying tons of books before I get a chance to read the unread ones already on my bookshelf. 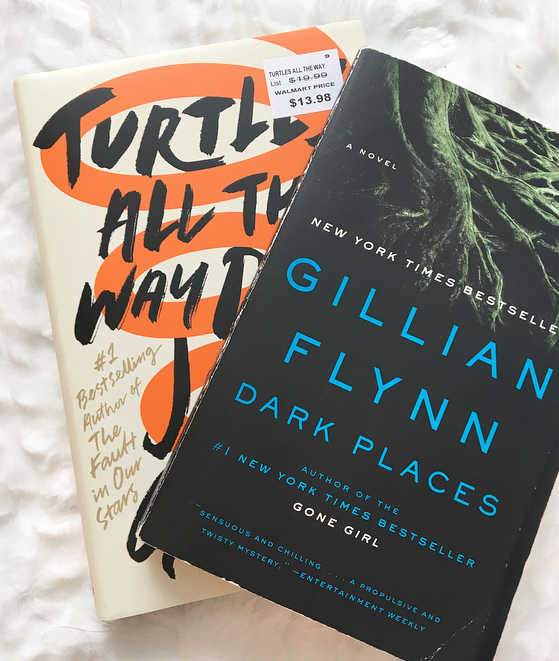 Dark Places by Gillian Flynn--definitely one that I recommend. I finished up the Clockwork trilogy by Cassandra Clare last week, so the final book, Clockwork Princess, is my pick for this question! The ending made me so sad. Thank you for reading! If you're interested in answering these questions, consider yourself tagged. 6 comments on "A to Z Book Tag"
i also have SO many nice new recommendations to read following this blog post...my book list just doubled! I have never seen a bookcase shaped as a letter like that before - I am so intrigued! Also, I'm so glad to hear you love the Raven Cycle so much, I'm two books into it and absolutely loving it so I'll definitely get onto the next book ASAP. I love doing book tags, so if you don't mind I might do this one for this month!